104 street – What the Truck?! 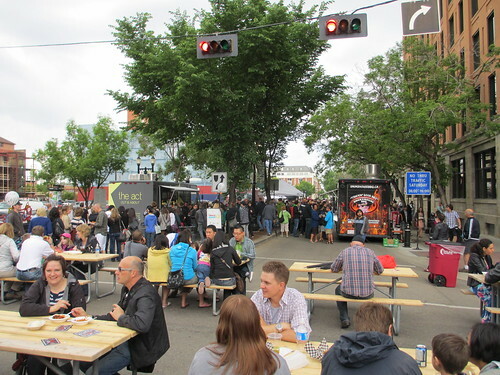 With nearly fifty food trucks ready to serve the Edmonton area this summer, without a doubt this will be the biggest year in the city’s food truck scene thus far. And to kick things off, we are happy to share the date of our first event of the 2014 season! This is the second time we’ll be taking over 104 Street; in 2012 What the Truck?! partnered with Al Fresco. We anticipate having 12 trucks on hand, including several new vendors to tempt your taste buds. Check back next week for the line-up! You can RSVP for the event on Facebook!